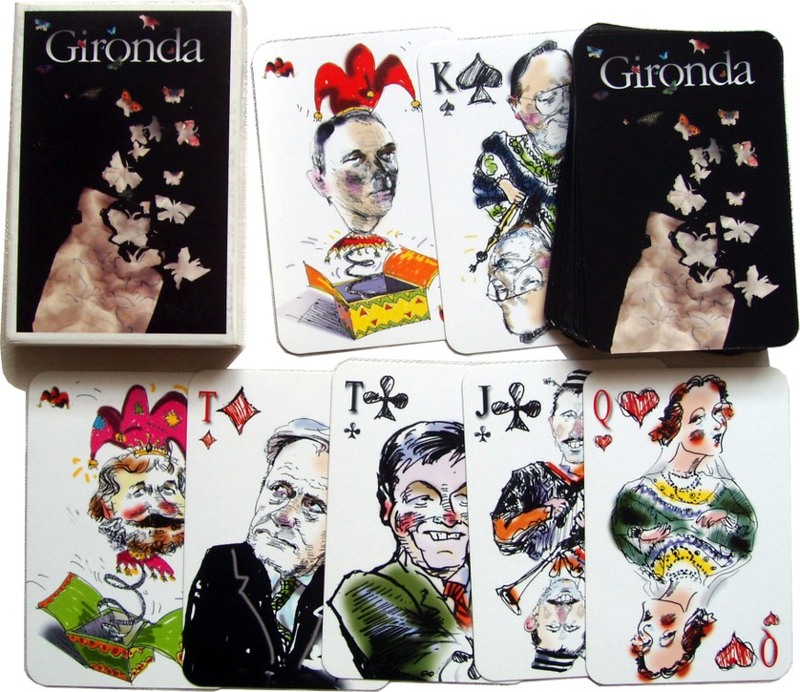 36 cards + 2 jokers designed and made in Lithuania for Gironda GmbH, 2001. Since regaining independence in 1990, Lithuania has made remarkable progress in terms of both its transformation to the democratic market economy and its advancement towards greater human development. Lithuania's boom years came to a sudden end in 2008, and after two decades of capitalism, the country became one of the biggest victims of the global economic crisis. 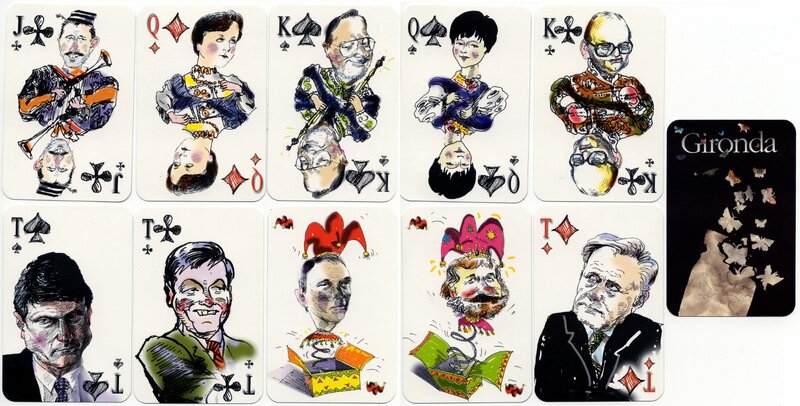 Above: 8 cards and two jokers from the 'Gironda' pack, showing eminent statesmen and politicians from Lithuania from the 1990s. 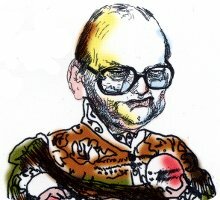 The cards are designed in a lively hand-drawn pen and wash style, with digital enhancements. The cards are plastic coated and manufactured to a high overall standard, with perfectly rounded corners, and with an interesting back design which is also printed on the box.